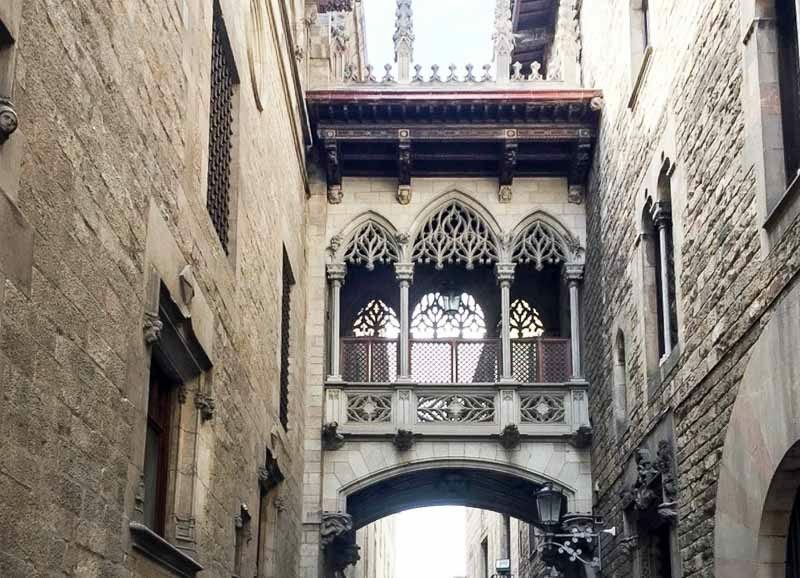 Barcelona is a city that’s filled with endless activities, and a lot of the sights are actually free to enjoy. 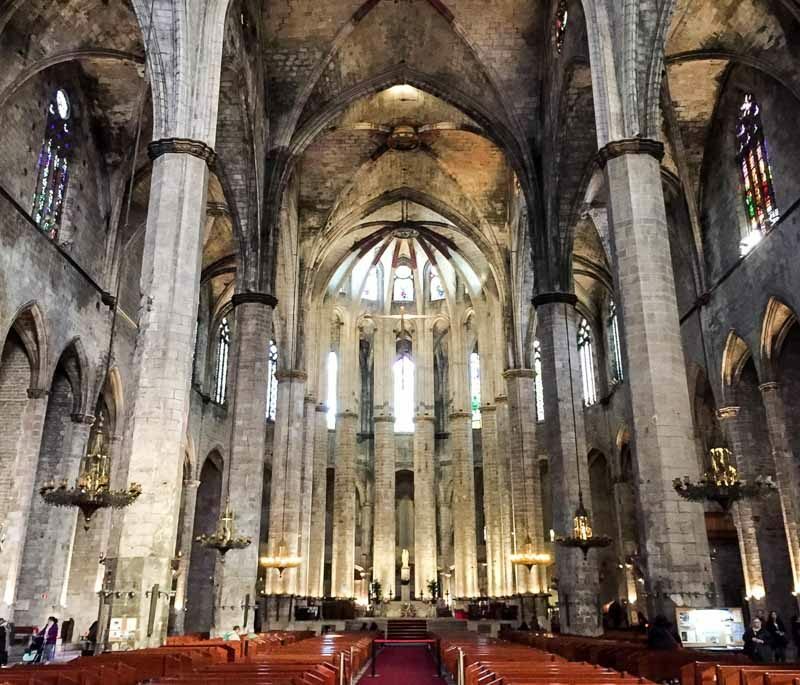 Whatever your travel budget may be, there is always something to see and do in this Catalan capital. Eat your way through local and international restaurants or go in search of the historical buildings buried in the city’s small alleyways. Marvel at Gaudí’s incredible architecture, sneak a peek at Messi’s world-famous football skills, or experience art in a host of museums. Sights in Barcelona are aplenty, but let’s start with the staple food stops that you have to make. La Boqueria is the most popular market for tourists to visit since it’s situated along Las Ramblas (or as the locals call it, La Rambla), one of the busiest, tourist-packed streets of Barcelona. You’ll find plenty of local savoury and sweet treats to try, so come hungry and go crazy! 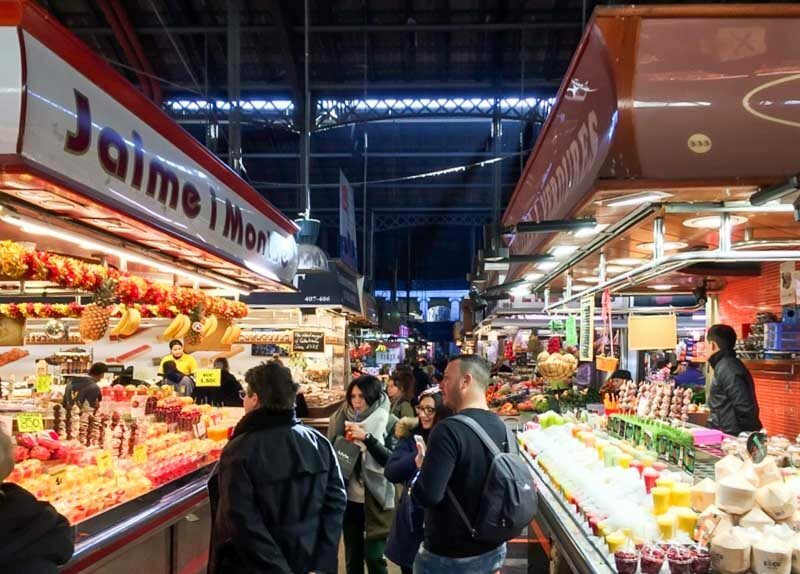 If you prefer checking out quieter spots, there are similar markets in every neighbourhood of Barcelona – don’t miss Mercat Sant Antoni and Mercat de la Concepció. When in Spain/Catalonia, you must try Paella. A romantic myth about the origins of Paella claims that the name comes from the Spanish phrase “Para ella” meaning ‘for her’. Paella actually refers to the pan in which the rice is cooked and served in, which tends to be large, creating a dish meant for sharing. When looking for a place to eat Paella, there are good spots and bad ones (usually too expensive and aimed at tourists). 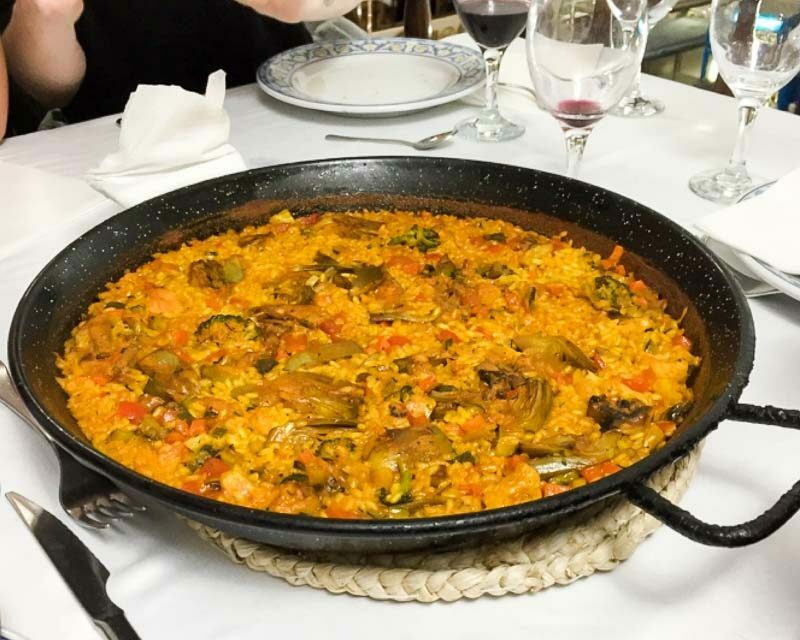 Try to go for Paella when you are in a quieter part of town and not while in the Gothic or Born neighbourhoods; many traditional restaurants serve it as the first or second course of their menu, so it can be as cheap as €8 – €10! I highly recommend Xiringuito Escribà which is a picturesque restaurant by the sea – their Paella is amazing. Tapas and Pintxo bars can be found all over Barcelona, so where to go for a good meal is always difficult to decide. 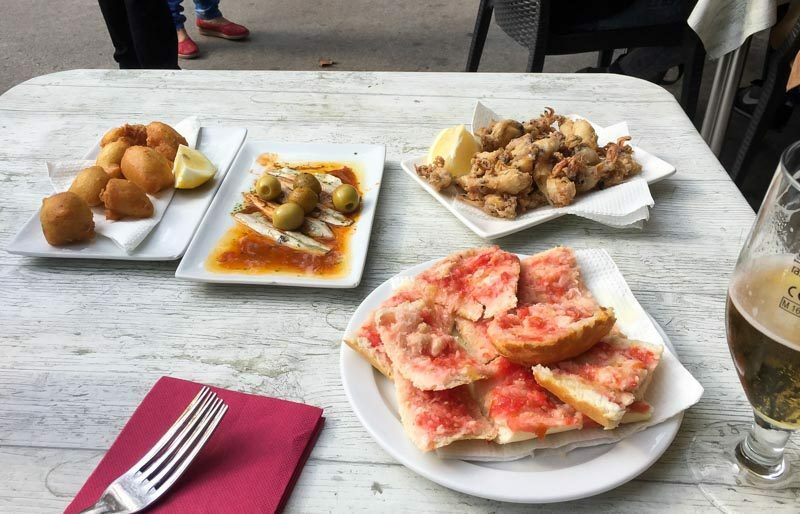 Here’s some advice that’ll hopefully help: In Gràcia, head to Plaça del Sol of Plaça de la Vila de Gràcia for an array of Tapas restaurants. For a more touristy but popular experience, go to El Nacional or Cervesería Catalana in Eixample. 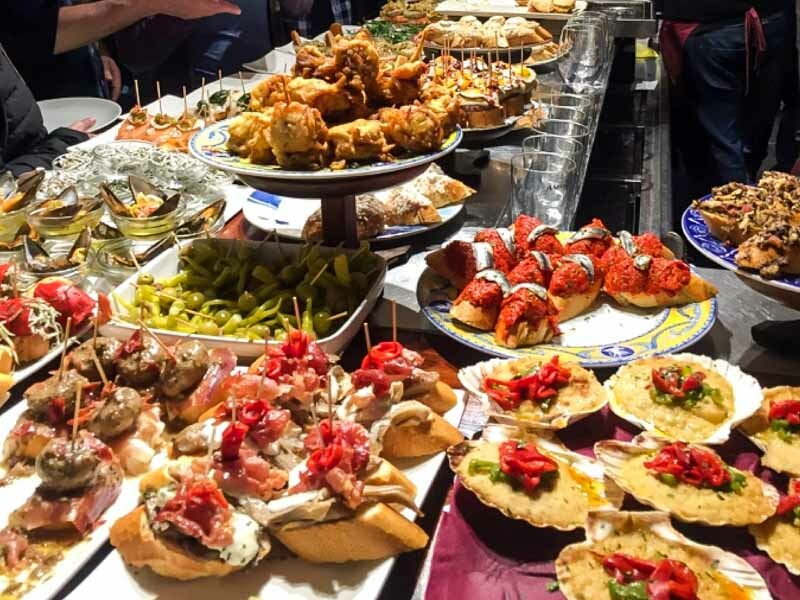 Besides those, any Pintxos and Tapas bars outside of the touristy areas tend to be traditional and good quality. What to order? Patatas Bravas (potatoes in tomato sauce), Pulpo (octopus), Tortilla De Patatas (Spanish omelette), Croquettes, and definitely beer. Paella and Tapas are pretty standard must-tries when you visit Barcelona, but other traditional Catalan dishes should also be on your to-eat list. Get a pretty authentic dining experience at Barcelona’s oldest restaurant (and one of the oldest in Spain! ), Can Culleretes. 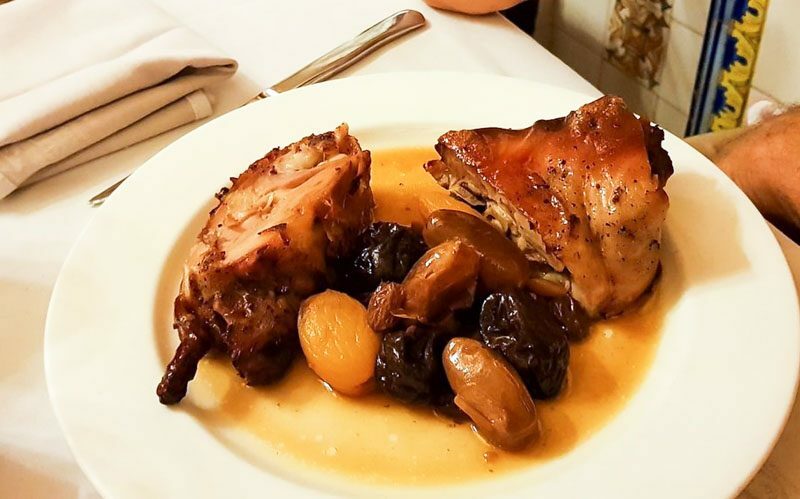 Located just off the popular La Rambla, this mainstay in the Catalan food scene has been around since 1786 and serves up hearty and homely traditional dishes at very reasonable prices. When you’re there, try the Lechon A La Catalan (Catalan Suckling Pig), the Escudella De L’olla (Catalan Stew) or the Fish Cannelloni. After loading up on all the Spanish savoury dishes, indulge in a popular treat that you can enjoy for either breakfast or dessert. 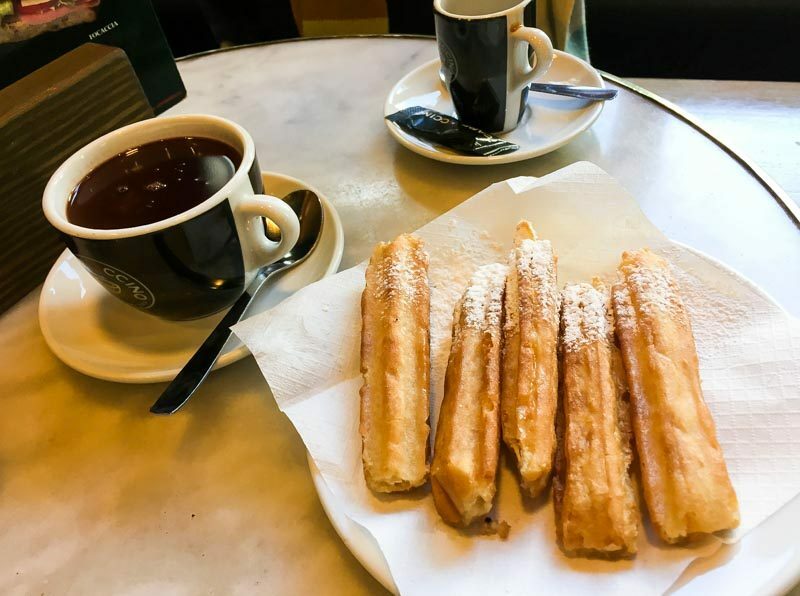 Hunt for Churros and Chocolate at locations designated for them like Xurrerias or in one of the endless cafes around the city. A popular area for Churros is La Pallaresa Xocolateria Xurreria down Carrer de Petritxol and in Plaça del Pi. Now that I’ve given you the lowdown on some must-try eats, fill your tummies before you head out to explore. Montjuïc is a large area of Barcelona that hosts numerous sights like the Palau Nacional (National Palace), the 1992 Olympics stadium, the Magic Fountain, and Poble Espanyol. 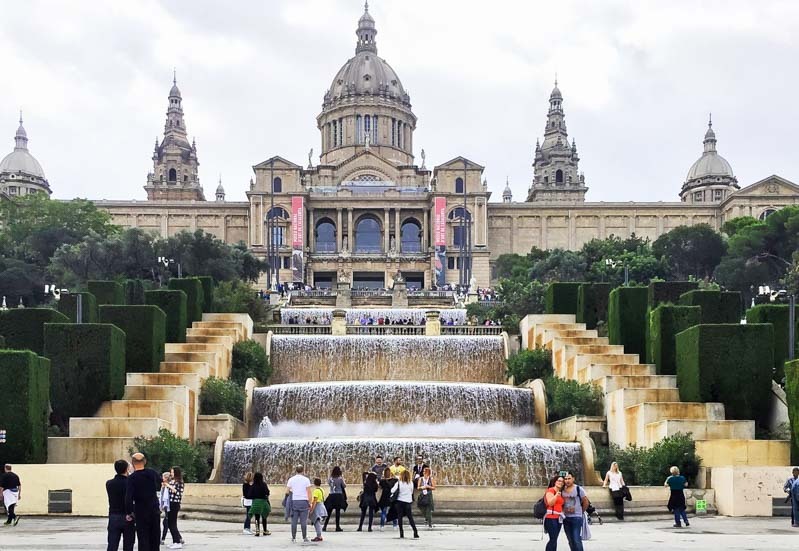 All are free to see except for entrance into the palace which is now the National Museum of Art Catalonia (MNAC) (€12 per pax). 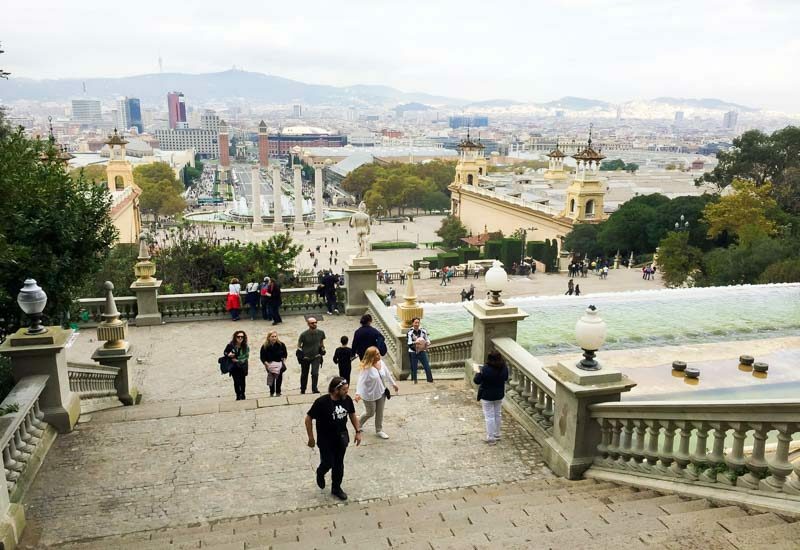 If you only have a short time to visit Montjuïc, enjoy an amazing view of Barcelona from the front of the palace. Head there at night to witness a special light show that goes on at the Magic Fountain all months of the year except from 7 January to 28 February. The first of my Gaudí recommendations is Parc Güell in the hills of Barcelona. 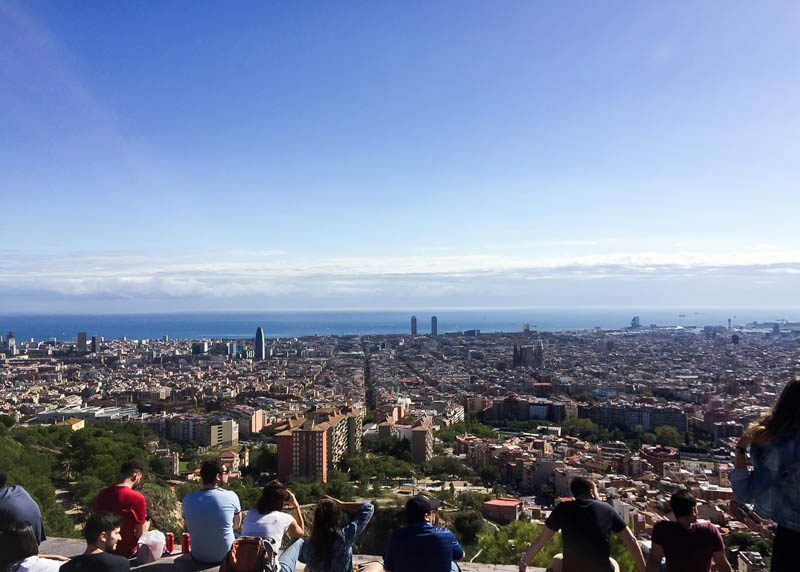 It takes a bit of walking to get there from the closest metro stops, but you can spend plenty of time soaking in the incredible views of the city from Turó de les Tres Creus, having a picnic in Parc Güell, walking the trails, and visiting Casa Museum Gaudí. The only area you need to pay to enter is the main area of the park (€8), but there is much to see around it! Bunkers del Carmel is also not the easiest place to get to, but once there, the view is entirely worth the journey. It is a spot not many tourists visit and where you’ll find locals having a beer or wine that they brought with them to enjoy while watching the sunset, which is my recommendation for the best time to visit the Bunkers. 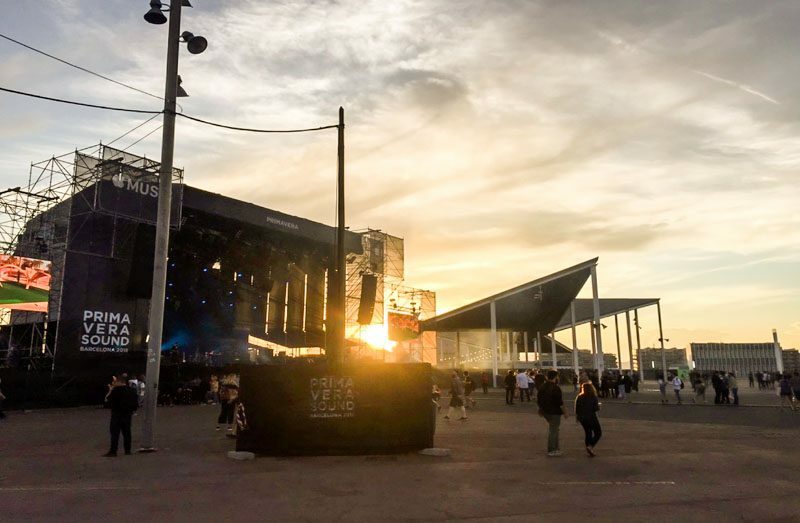 If you truly want to feel the energy of the people that Barcelona draws, attend a concert or music festival at Parc del Fòrum. 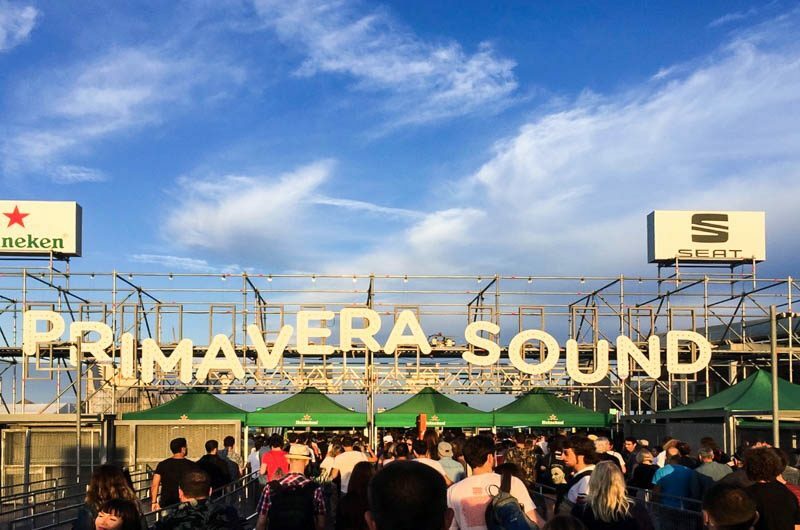 The most popular music festivals are Primavera Sound and Cruïlla festival, which take place in May and July respectively. The Forum is a unique park that was made for outdoor events and shows, so it’s more of a concrete park than a natural one. But its unique layout makes for the perfect spot for music festivals that are not too crowded and feature the best headliners! The next of Gaudí’s works that I recommend you see is Casa Batlló. 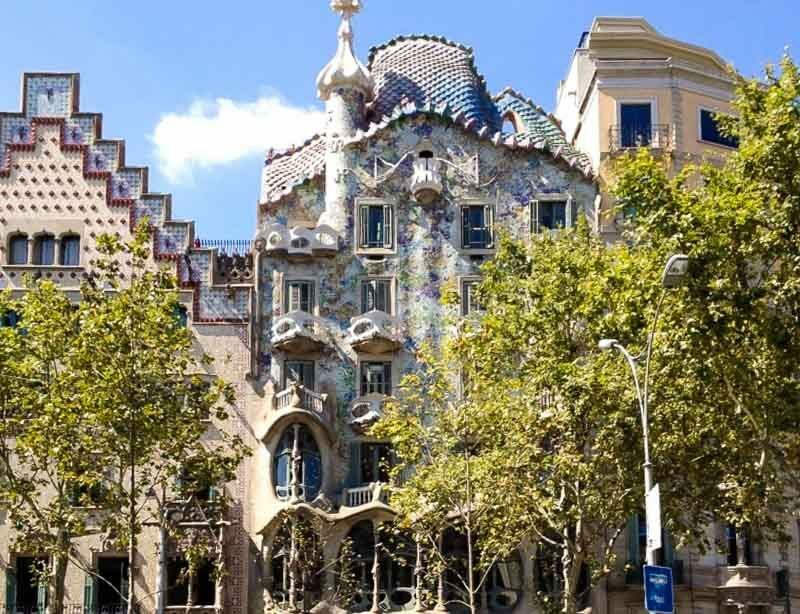 It is one you can view in passing while walking the large street of Passeig de Gràcia, or can enter for a better glimpse into the mind of Gaudí and the internal architecture which is also quite beautiful. The exterior of the building is also sometimes decorated during certain holidays like Christmas and Sant Jordi (April), usually with flowers, making an already amazing sight even more breathtaking. 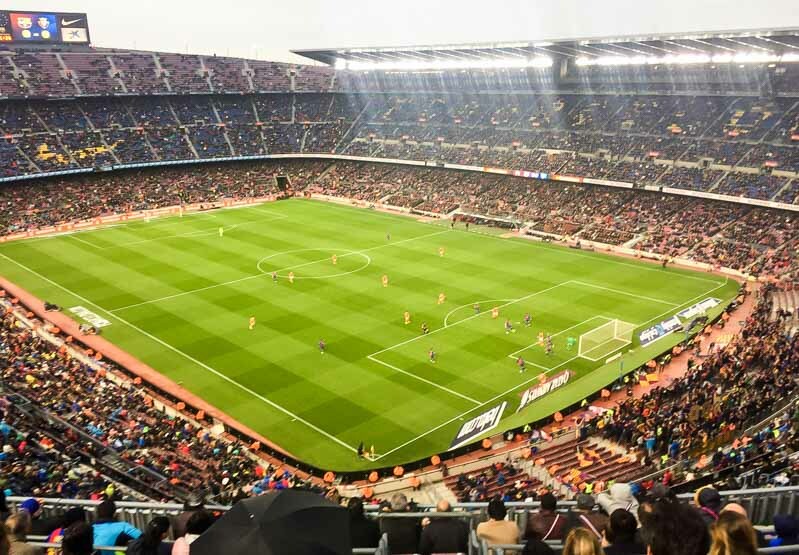 There are two ways to enjoy Barcelona’s famous football team — through a tour or by attending a game. There are games year-round and the tour can also be done every day of the week. This is another way to feel the energy of the local people, their pride in their football team, and their pride in being from Catalonia. Try to catch a game before Lionel Messi retires as he is believed to be one of the greatest football players; watching him score a goal would be priceless! 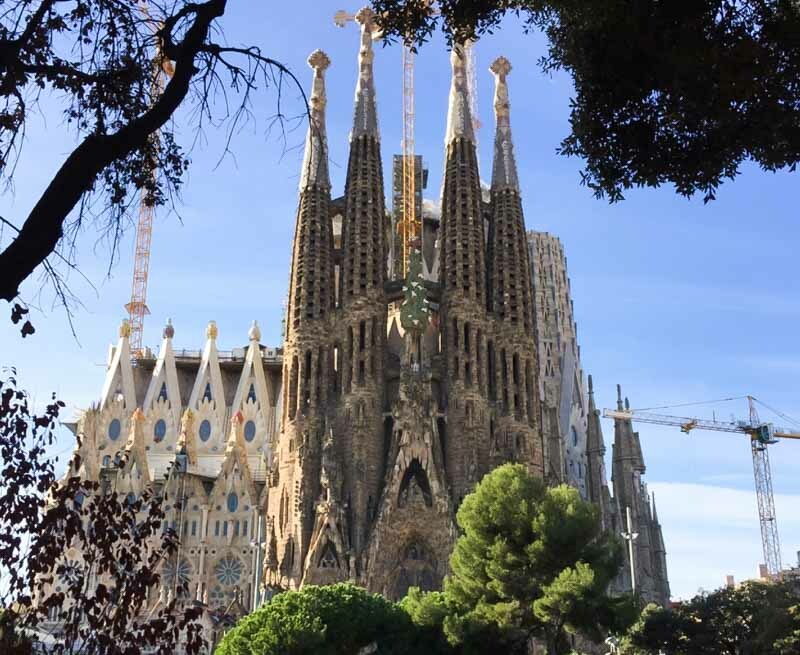 La Sagrada Familia is a sight you cannot miss and it’s the third Gaudí monument on this list. 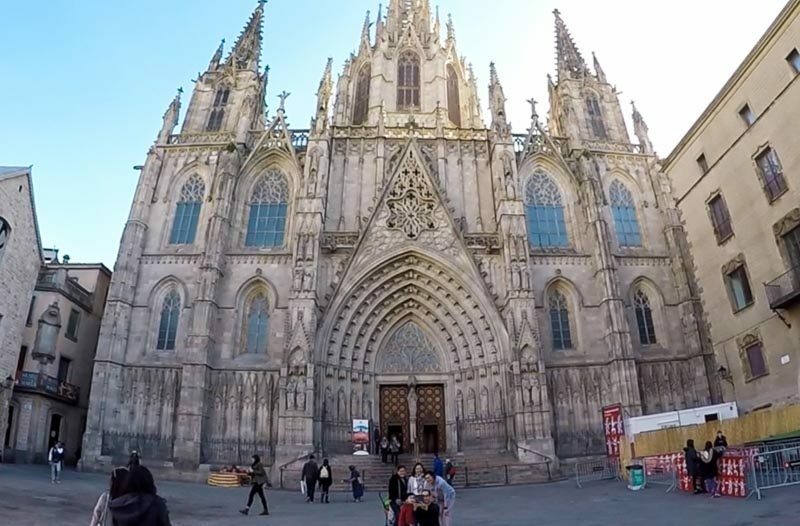 Get the full view of the cathedral from across the pond in the nearby park or by sitting at one of the numerous cafes and restaurants in the vicinity. If you make it inside, it truly is unlike any other traditional cathedral and is an experiential work of art. Be sure to buy your tickets there or online in advance, as tickets usually sell out the day of. 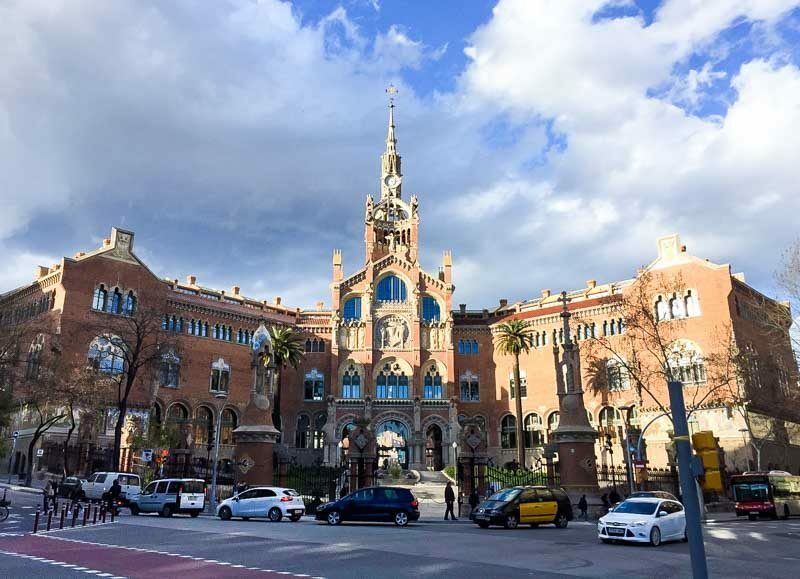 If you’re already at the Sagrada Familia, head down Avenida de Gaudí and after four blocks, you’ll find yourself at the UNESCO World Heritage Site of Hospital de Sant Pau. Many tourists do not know about this sight, but it is beautiful to walk around the building. To the right, you’ll see the University of Barcelona Casa de Convalescència and inside you’ll find a plaza with individual buildings where they host art exhibitions and other events. Pla de la Seu and the Barcelona Cathedral are quite the sight as there’s a big open square, a tiny surprise after coming from all the tiny alleyways of the Gothic quarter. Around the back of the cathedral, look for old surviving Roman columns. Seek out the Pont Gòtic nearby as well and continue down that road to Plaça de Sant Jaume. Not too far from that plaza, you’ll find the hidden Plaça del Rei with another gorgeous archaeological site. There’s really so much to see and do in this area! I love this basilica because it’s free to enter and is breathtaking inside. It’s located in a small square in the Born district, so to enter and see its extremely large interior is quite amazing. This sightseeing stop is also unknown to many tourists, so it tends to be empty and peaceful inside. Just on the other side of Born and not too far from Santa Maria del Mar is a nice, open park called Ciutadella. 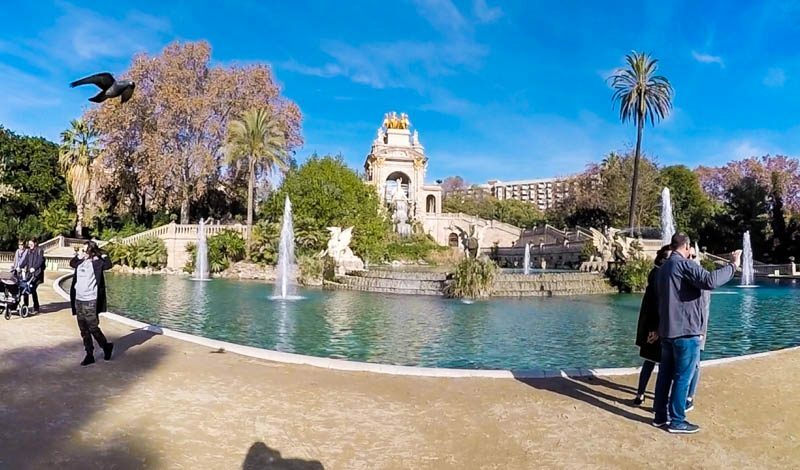 Walk under the palm trees and listen to musicians, or head straight for the big fountain, Cascada Monumental that is also unknown to many tourists. Relax in the park when you need a breather from all the walking. What’s nice about walking around Raval, Gòtic, and Born in Barcelona is all the small shops that sell books, art, or second-hand clothing. Each has its own unique style and look; some are quiet and peaceful, while others blast music like there’s a party. 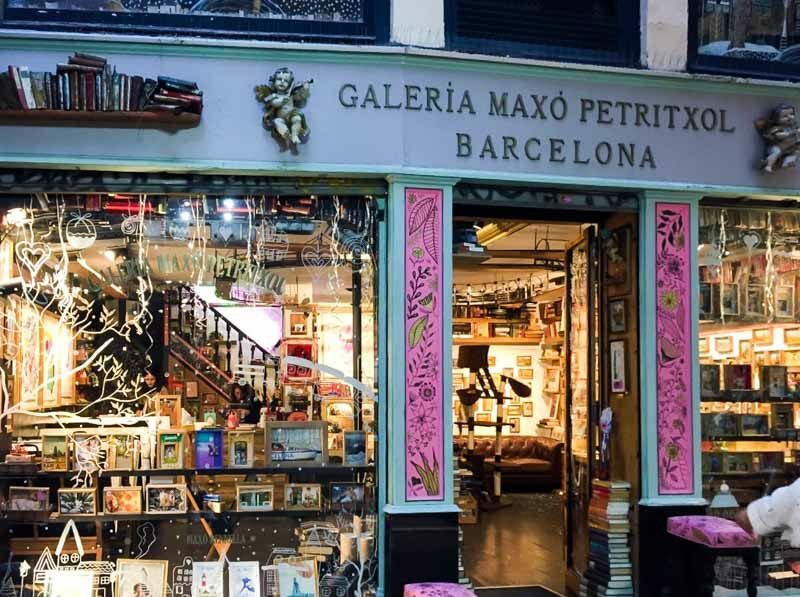 Find a nice one to go and get some unique souvenirs from your trip to Barcelona and make it a place that you can recommend to your friends who visit after you. 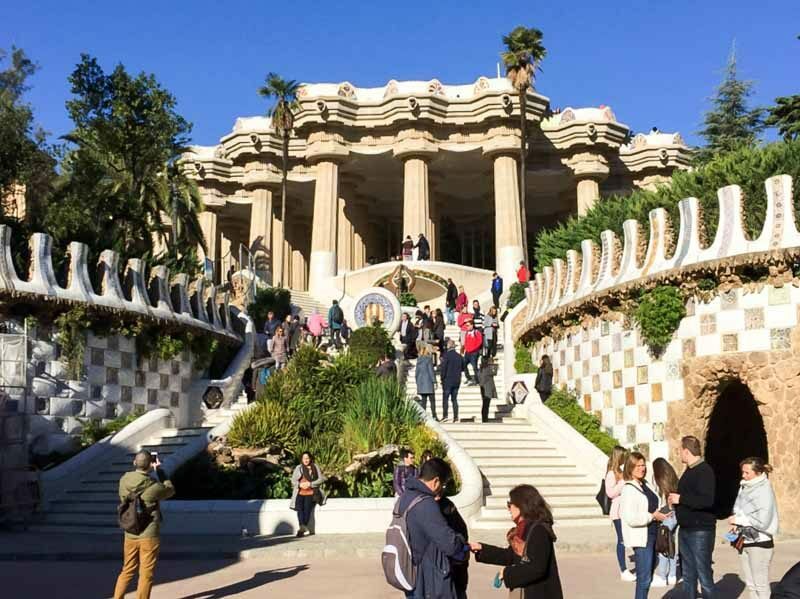 If you feel like you’ve conquered all the sights in Barcelona, why not squeeze in a day trip or two just out of the city? 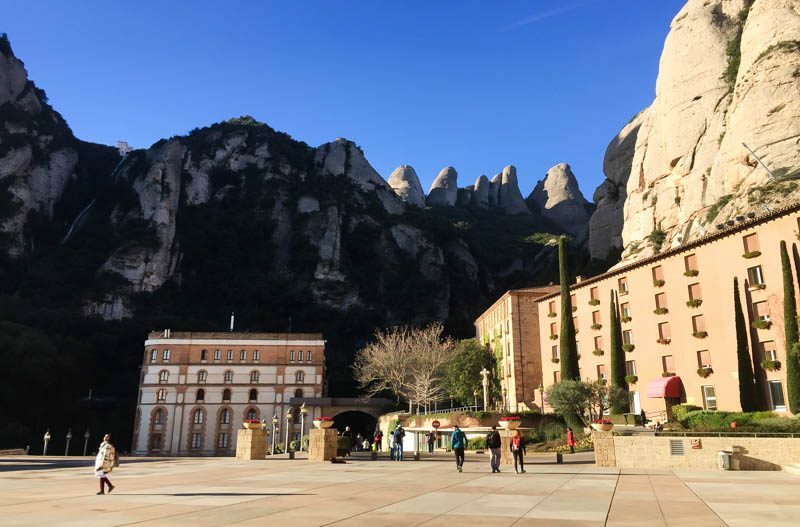 An hour and a half on the metro and train will get you up to Montserrat, where nature and unique mountain formations will make the trip so worth it. The uniquely-shaped mountain houses a monastery where you can find the famous black Madonna, La Moreneta. If you like hiking, there are also multiple viewpoints you can climb to ranging from 20-minute to three-hour hikes away. Sitges is a small beach town just 35 minutes south of Barcelona, it is also the gay capital of Catalonia. It is a great getaway from the busy city and is not very touristy. 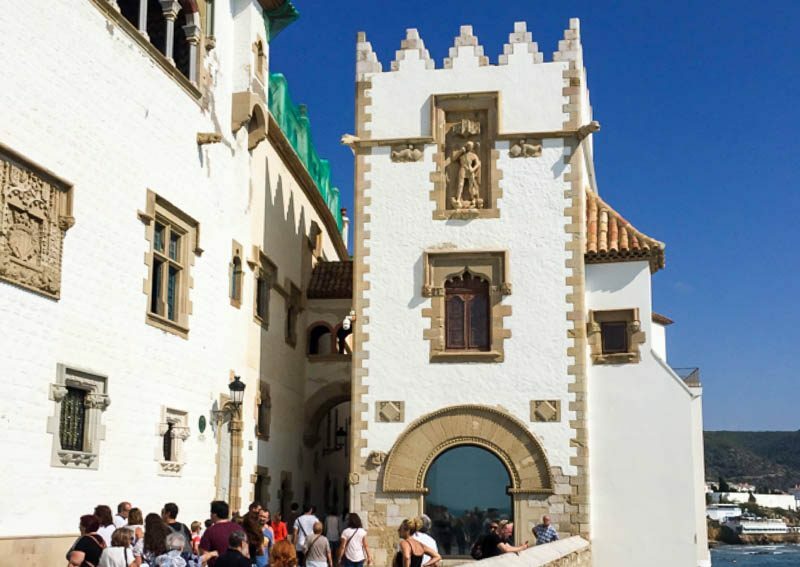 Journey there to get a feeling of what other coastal Catalonian towns are like and check out the town’s amazing architecture, small streets and beaches. So if you find yourself there at night or during Carnival, don’t miss out on experiencing the celebration! There is nothing like relaxing at the beach on holiday, to rest your feet and experience the blue waters of the Mediterranean. 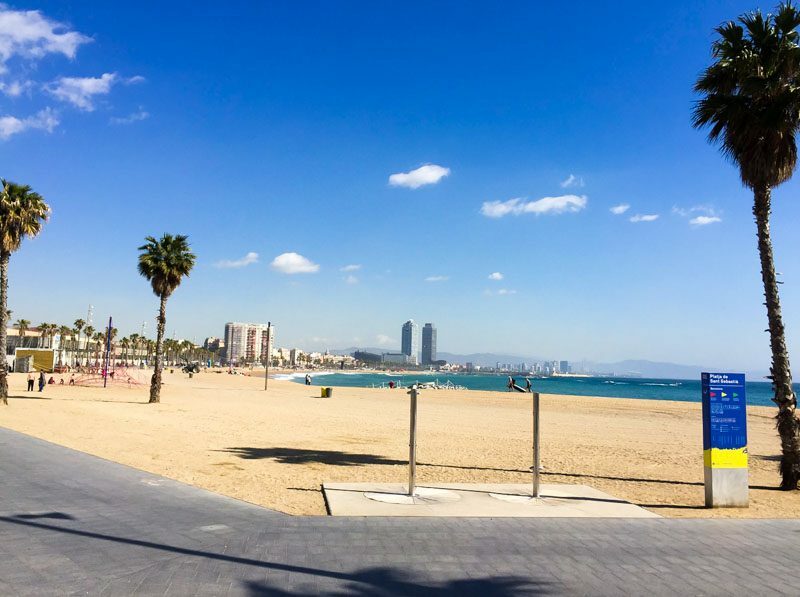 Beach spots can get quite crowded during the summer months, but get less busy the further away you go from central Barcelona. Head to beaches like Platja de la Nova Icària and Platja del Bogatell for better luck in getting a good tanning spot. You can enjoy beers at the cafes that line the sand and also rent water sports equipment. I recommend chilling on the sand on a cool-patterned blanket with friends during the sunset or moon rising. Only locals really do this, and you know what they say, when in Rome Barcelona, do like the Barcelonese do! *This post was contributed by Rio Villa, a Filipina American travel/beauty blogger from California, USA. Her blog is titled The TwentySomething Traveler because her passion is to help people in their twenties discover themselves through health and travel.